location. Price. Friendliness and helpfulness of owner. Free parking. 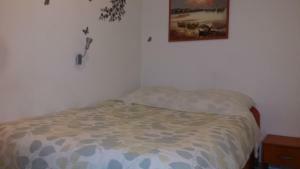 Very nice location, decent and clean room, very nice and informative staff. The property has several different locations, but all seem to be near the main port area of Split. I had a small room with its own entrance off the street. It was a 5-minute walk to Diocletian's Palace and the main port area where I could catch the ferry. Plenty of eating options nearby. My room was small, but clean and very quiet with A/C. The bathroom was clean and nice. There was a small kitchen and fridge. The manager was very friendly and helpful. Clean, nice, good location, room is completed with kitchen with all the essentials. Nice friendly staff but just remember to tell them ahead you are coming as there is no designated reception area. Mirko arranged to meet us off train & took us directly to apartment - otherwise we never would have found it. He also offered suggestions for things to do besides standard sightseeing. We were able to communicate with host through booking.com during stay. 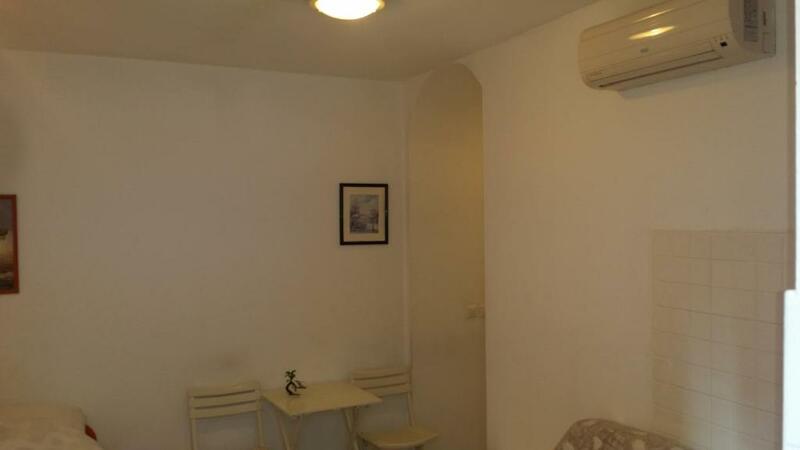 Located within old city above very popular coffee shop, close to cafes/restaurants/sights. Everything provided to allow a very comfortable stay for over a week. Central location (next to the historic center as well as the ferry port & the bus station). Friendly & engaging owner who met me at the ferry & escorted me to the apartment. 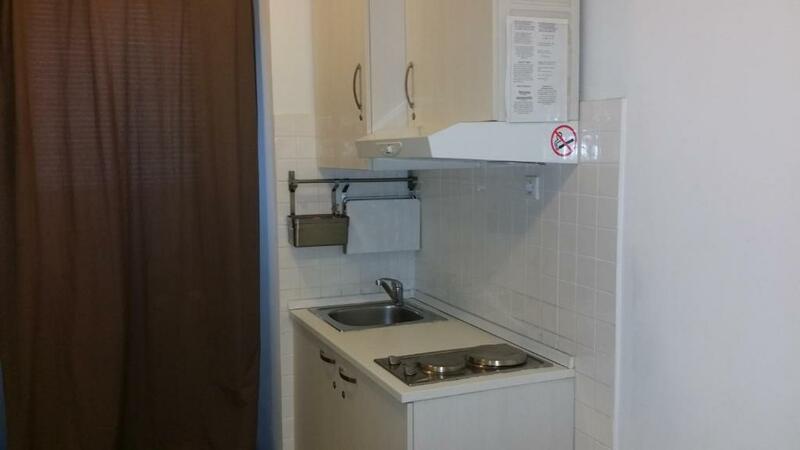 This studio apartment is very clean & has a decent size bathroom. I would call this apartment of a medium size (queen size bed, small table with two chairs, & a sofa are positioned there). Central location, comfy bed, nice host who let me in earlier than check- in time and the local open market across the road was fun. The room was very clean and comfortable. Getting there was a little walk but was manageable. Any inconvenience was more that made up by the staff who were truly exceptionally helpful. Host came to give me the keys quickly. The location was perfect, right in the centre! I really enjoyed my stay here, it was my favourite place during my trip through Croatia. Clean, secure and comfy. 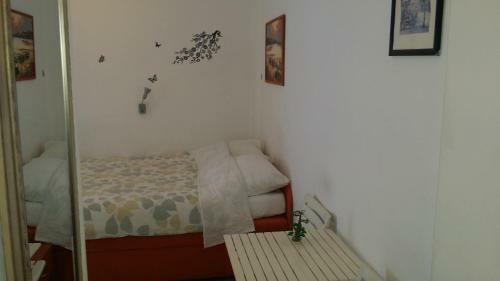 Lock in a great price for Diocletian Apartments & Rooms – rated 8 by recent guests! 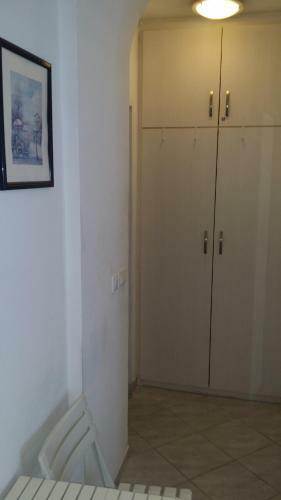 Diocletian Apartments & Rooms This rating is a reflection of how the property compares to the industry standard when it comes to price, facilities and services available. It's based on a self-evaluation by the property. Use this rating to help choose your stay! One of our best sellers in Split! Set in a historical part of Split, Diocletian Apartments & Rooms offers air-conditioned studios with free Wi-Fi, satellite TV and a kitchen with fridge. The studios are located on 2 locations. Some of them are inside the walls of Diocletian's Palace, while others are within 350 feet from the Palace, next to the Natural Science Museum. The sandy beach of Bačvice is 1,300 feet away. 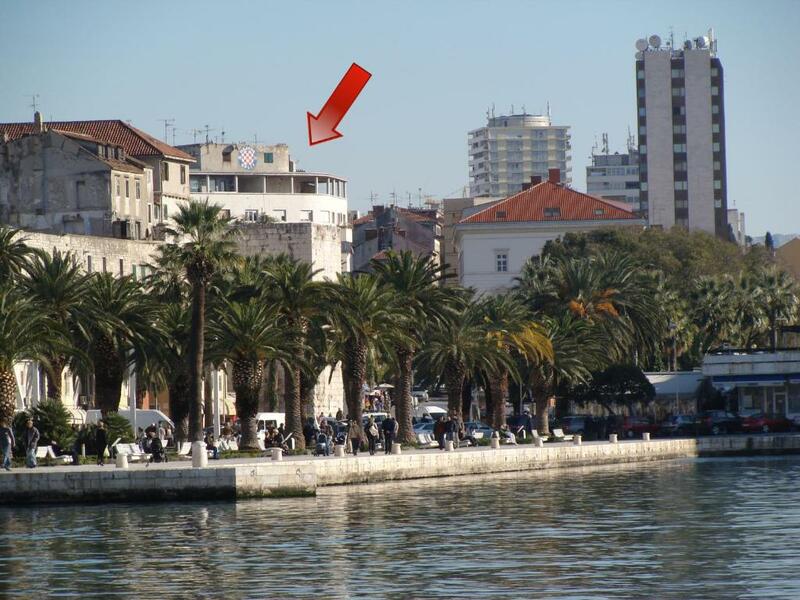 The ferry boat terminal and the railway station is 500 feet from the Diocletian Apartments & Rooms. Guests can explore Split's galleries and museums and dine at the nearby restaurants with characteristic Dalmatian and international cuisine. 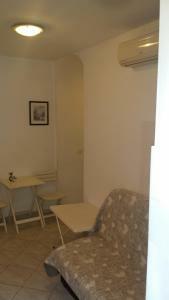 뀐 Located in the real heart of Split, this property has an excellent location score of 9.0! When would you like to stay at Diocletian Apartments & Rooms? This studio is located at Poljana Kneza Trpimira Street 2. Guest have access to a terraces with benches, tables and sun umbrellas. The address is Majstora Jurja Street 11. House Rules Diocletian Apartments & Rooms takes special requests – add in the next step! Please note that this property has several locations. General check-in takes place at Poljana Kneza Trpimira Street 2, Split. Please inform Diocletian Apartments & Rooms of your expected arrival time in advance. You can use the Special Requests box when booking, or contact the property directly using the contact details in your confirmation. Prize for extra cleaning for 10 eur. It is too much and its not clear that you must pay it when you do the booking. Also you must pay in cash. Very small, I was Ok as single person but not big enough for two people unless only sleeping there. Very poor cooking facilities, hob barely heated up and minimal utensils. Very noisy courtyard outside, people talking loudly, motorbikes and cars coming and going. The room reeked of dirty laundry although all towels and sheets appeared freshly laundered. The smell persisted throughout my stay. It was unplesant to wake up to the smell in the middle of the night, and also all the while wondering if the smell might have 'stuck' to my hair and clothing when I was out and about. 'Free toiletries' was a large bottle of handwashing liquid. 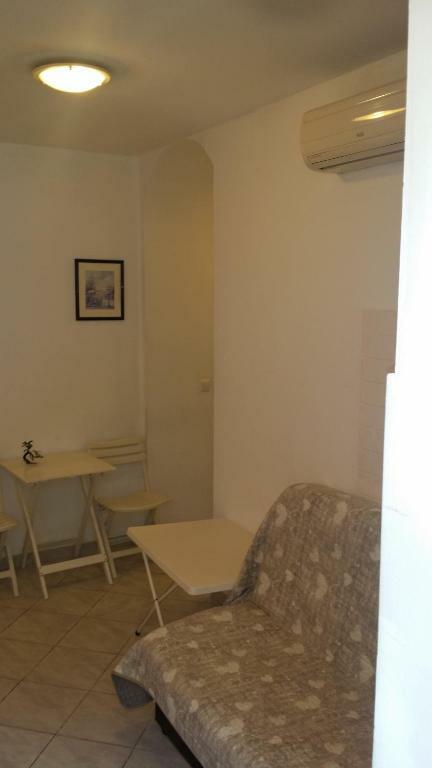 The double room apartment is an adorable little standalone 'house' that opens to a quiet side street. Aircon didn’t work we were on top of a cafe and we were told we had parking but that was not true we had to find parking miles away we left in 2 days even though we paid for 3 not our best experience . No major problems. The room was on the first floor without a lift but I managed. The host was super nice and location perfect. I informed them when I would arrive but I still had to wait about a half hour and then they still had to clean the apartment. I knew I was early, but if they couldn't accommodate me they should have answered my email when I expressed that I would be arriving early. Good location and friendly neighbors. The room is a bit too small for two people, but for one night it was ok. There wasn't much toilet paper. The hairdryer was broken and made a burning smell when I turned it on. I think this apartment is more suitable for a single bed and one person because of its size, but for one night it wasn't too bad. 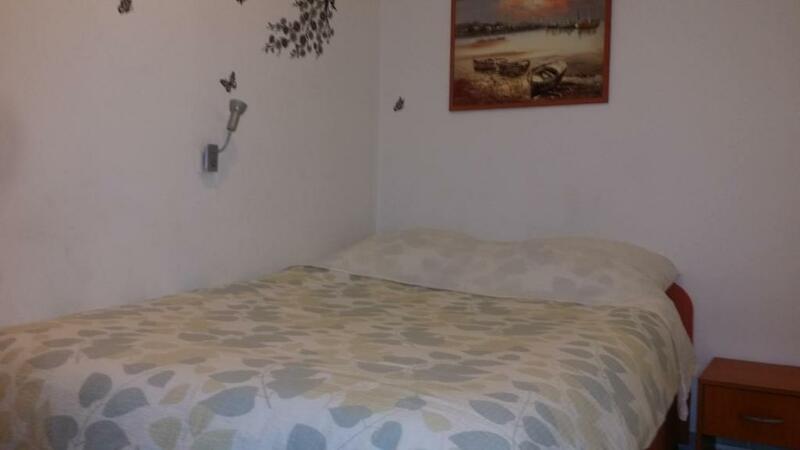 I think the pictures were mostly from the bigger apartment and I expected a bit more spacious and comfortable place. The location is great. The place was clean and the bed was comfortable. There was some shampoo in the shower but no shower gel. It has the basics for a short stay. I would definitely NOT recommend this place. We had to wait for the keys for a long time. After we called Mirko a couple of times, the cleaning lady showed up and she led us to a different apartment (a different address than stated in our booking confirmation). We had chosen this place to be close to the port, as we were leaving the following day, but the apartment we were finally offered wasn’t as close as promised. The room was extremely tiny (not enough space for our suitcases! ), no windows and with bad smell (humidity). We had to pay in cash in kunas and were charged extra for cleaning and visitor’s tax – so in the end we were charged more than initially stated in the Booking add. I was very disappointed with this apartment. I chose it because I had read good reviews on Booking. I think the owner has many apartments and some of them are ok. The one he gave us was NOT, especially considering the price. I would not risk booking it! There are other better places in Split (I stayed in the city on 3 different occasions, and this one was the worst!). Size of the apartment. Also the check in was very bad. We arrived in time and the owner was not there because he was having lunch. After we called him two times the cleaning lady showed up. So she checked us in and we had to pay everything in cash. Since we didn't know we went to the Atm and paid in cash. We asked for a receipt but this wasnot possible. The location was very good, although not as close the center as promised on Booking. Charged extra 10 euro for cleaning deposit that was not in contract and wanted to charge visitor's tax, but I said no. Room was smaller than expected. Prime location though. Close to everything. Would I rent again knowing what what to expect... for less money definitely yes. For what I paid maybe no, because I would like a lot more space. But, the l location was really nice. Location was in the middle of everything.